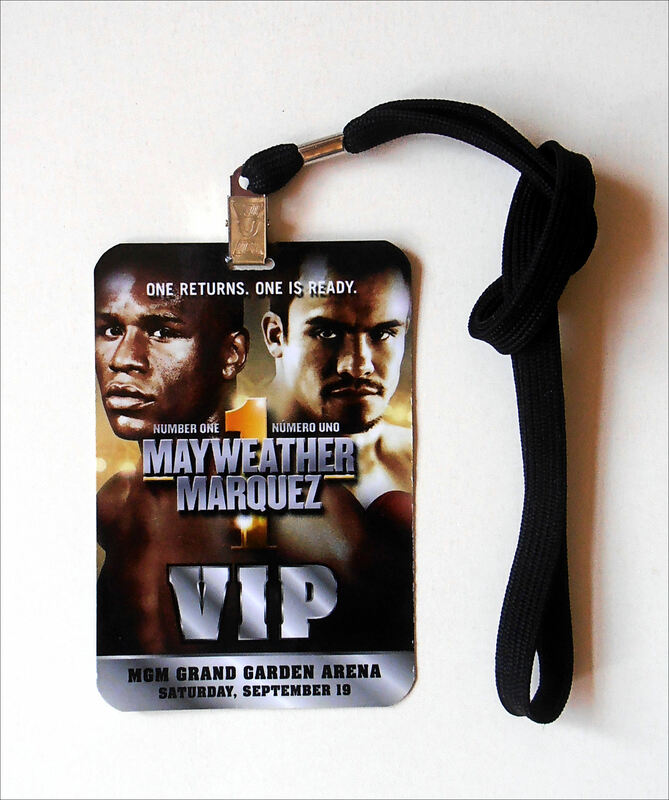 Description : Here we have an original official MGM Grand Las Vegas VIP boxing event pass (With Lanyard) for the welterweight fight held at the MGM Grand Garden Arena on Sep 19th 2009. 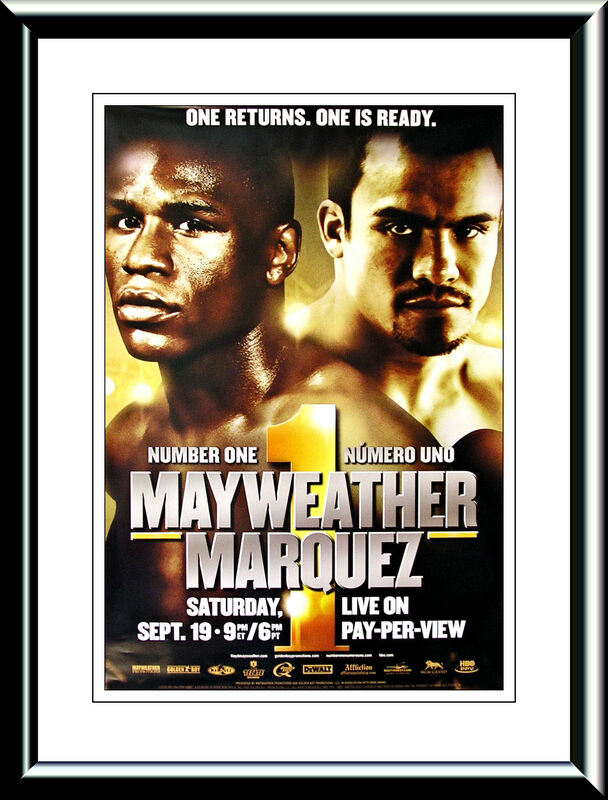 Floyd Mayweather vs. Juan Manuel Márquez, billed as Number One/Número Uno, was a welterweight superfight which took place on September 19, 2009, at the MGM Grand Arena in Las Vegas between five-division world champion Floyd Mayweather, Jr. (39–0, 25 KO) and three-division champion Juan Manuel Márquez (50–4–1, 37 KO). The fight served as a return to the ring for Mayweather, who, after his knock out victory of Ricky Hatton in December 2007, announced he would take a two-year layoff from boxing which later turned into retirement. 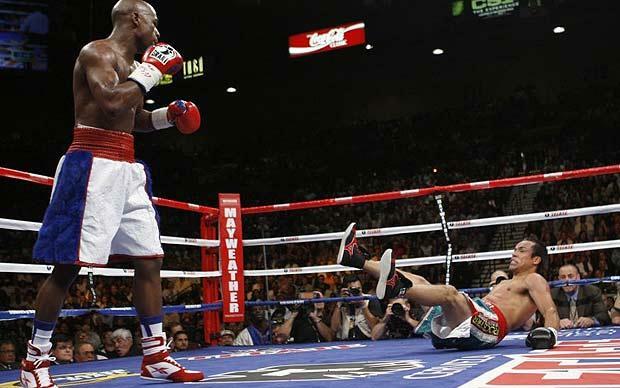 Mayweather successfully returned, winning a unanimous decision.